The following excellent and highly accessible paper acts as a comparative analysis (with a thesis we think highly original) of both Wagner and Tolkien's "Ring Cycles". Originally published in the accredited fantasy journal Mythlore (which specialises in work on Tolkien, Lewis and other members of the Inklings - in 2011. It is reprinted here with the kind permission of the author and Mythlore. For further details about Mythlore please visit their website here. The author, Dr Jamie McGregor originally came to our attention when we located, and reprinted part of his doctoral thesis Myth, music and modernism : the Wagnerian dimension in Virginia Woolf's "Mrs Dalloway" and "The Waves" and James Joyce's "Finnegan's Wake last year. Having spoken to him since and gained an understanding of his extensive knowledge of and enthusiasm for both Wagner and Tolkien we are more than pleased that we did. The first few paragraphs are reprinted here while the full paper - as it originally appeared in Mythlore - can be read in the embed PDF below. Highly recommended. JAMIE MCGREGOR teaches in a variety of literature programmes, including an elective in Modern British Fantasy, at Rhodes University in Grahamstown, South Africa. He has extensively researched Wagner's influence on 20th century fiction, including works by James Joyce and Virginia Woolf. His article "The Sea, Music and Death: The Shadow of Wagner in Woolf's Mrs Dalloway" received the Thomas Pringle Award for 2008. He is currently working on a book, The Road to Monsalvat, about Wagner's "religion of art," and preparing a series of commemorative events to mark the composer's bicentenary celebrations in 2013. THE PARALLEL BETWEEN THE LORD OF THE RINGS and Der Ring des Nibelungen has been drawn many times and studied a few; in 1992 it was already described as having been "a matter of debate for many years" (Morgan 16), and the debate has shown no signs of abating since. 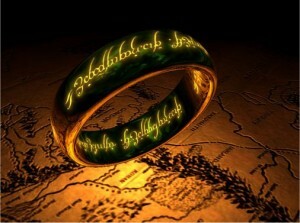 Initially, the suggestion of "influence" was dealt a (seemingly decisive) blow by Tolkien himself when his (evidently incompetent) Swedish translator asserted that the One Ring was in effect identical with "der Nibelungen Ring"; with a brusque finality characteristic of him when nettled, he retorted "Both rings were round, and there the resemblance ceases" (Letters 306). 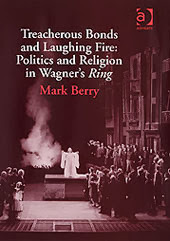 His biographer Humphrey Carpenter uses this example to support his claim that "comparison of his Ring with the Nibelungenlied and Wagner always annoyed Tolkien" (202); Carpenter also alludes to Tolkien, while still a schoolboy, making "a passing jibe at Wagner whose interpretation of the myths he held in contempt" (46). Some subsequent commentaries have taken this at face value; Giddings, for example, sees any Wagnerian associations with Tolkien as a "taint" derived from his mixing "with the rabid Wagnerite C.S. Lewis" (14). 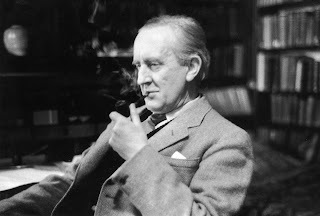 Moreover, Shippey implies a reason why Tolkien might have responded to Wagner, albeit negatively: he was "one of several authors [including Shakespeare] with whom Tolkien had a relationship of intimate dislike" and who he believed "had got something very important not quite right" (344). Finally, Morgan makes the telling suggestion that in 1939, when Tolkien was drafting his Hobbit sequel, "the influence of Wagner became stronger as Hitler's intentions became more obvious" (24). Much the same point is made in the less scholarly but handsomely packaged Tolkien's Ring by David Day. Despite somewhat misrepresenting Wagner's intentions, Day is undoubtedly right in pointing out that Hitler's perversion of "Germanic" mythology outraged Tolkien and may have even inspired him to write The Lord of the Rings as a deliberate challenge to Wagner (179). The advantage of this view is that it offers a thoroughly plausible explanation as to why Tolkien might have been influenced by Wagner and yet object to having it pointed out. Other recent commentaries, such as those of online columnists Spengler and Ross, tend to support the same basic view: that there are similarities between Tolkien and Wagner that are not found in any of their mutual sources, that Tolkien's denial of this is therefore disingenuous and is almost certainly bound up with the "Nazification" to which Wagner's work all too easily lent itself, which was contemporary with the composition of The Lord of the Rings, and which its author would have felt strongly motivated to "correct." This essential position is one that I share, albeit subject to certain modifications. A discernable problem with most if not quite all enquiries in this area is that they tend to be conducted by Tolkien scholars (or at least enthusiasts), whose attention to Wagner is relatively limited (and sometimes flawed). Writers on Wagner, on the other hand, show a marked failure to appreciate Tolkien (on the few occasions they deign to mention him at all). 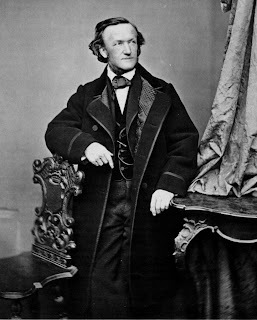 Kitcher and Schacht, for example, while acknowledging his writings to be "immensely absorbing and entertaining," conclude that "they do not deserve the serious attention and reflection lavished on [Wagner's] Ring" (6). Hodgart, writing on Wagner and Joyce, is far more dismissive: "Wagner is Tolkien for grown-ups" (131). Part of the problem here is that, in most cases, Wagner and Tolkien appeal to different audiences--Tolkien's being appreciably larger, Wagner's (rightly or wrongly) more "elitist."